Sometimes something happens in your life when you least expect it; you’re washing machine breaks, your car breaks down, little things that with a bit of work can be made better. But sometimes those things that happen can be losing a loved one when you’re not quite ready, when you expect longer with them and they can’t be made better. Some of us don’t handle these things very well, and others, like myself, seize the opportunity to make the best out of an awful situation. 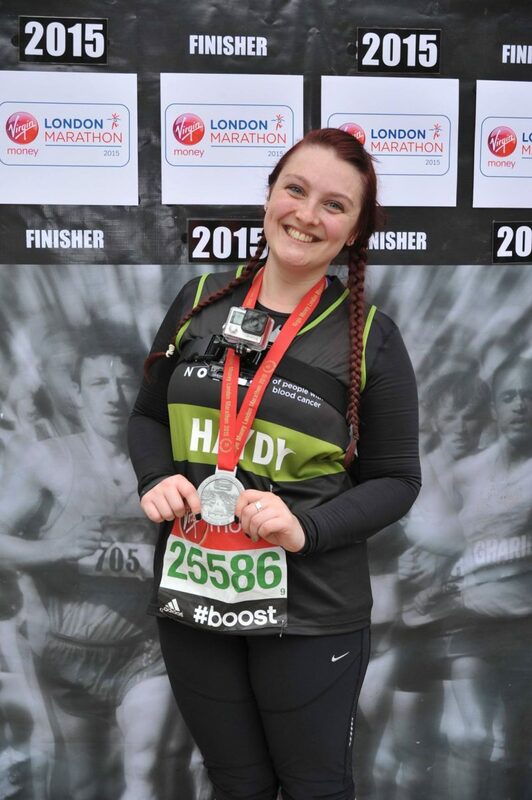 After losing a very close friend at the age of 30 to Leukaemia, I decided to go against all advice ever given to me and run the London Marathon to raise money for the charity that looked after him. I don’t want other families to go through the pain we have been through and by raising money I was able to enable more sign-ups, aid more research and hopefully make a difference. I always think the hours spent training, the hours (all six of them) I spent running, and the few days after where I knew I’d be pretty darn sore, they mean nothing when it comes to the thought of being able to save someone’s life. I enjoyed the fundraising and the run so much that I went out and did the same last year. I knocked fifteen minutes off my first time and if I hadn’t been banned from running long distance by my family, they say the stress of the day and my not so great level of fitness is all a little too much, I’d go out and run it for the same charity again next year. But, there are other ways to help raise money for causes close to your heart. Far, far easier ways than running 26.2 miles around London! One of the most ingenious ideas has come from TPO Mobile who are an ethical phone company that uses Three’s Mobile Network and will donate 10% of your monthly bill to a charity of your choice. Yes, you read that right, you can give money to charity with minimum effort. If I were to sign up, with what I currently pay a month, I could be donating almost £65 a year to charity for chatting to my mates on Whatsapp and updating my Instagram. Worth thinking about making the swap right? 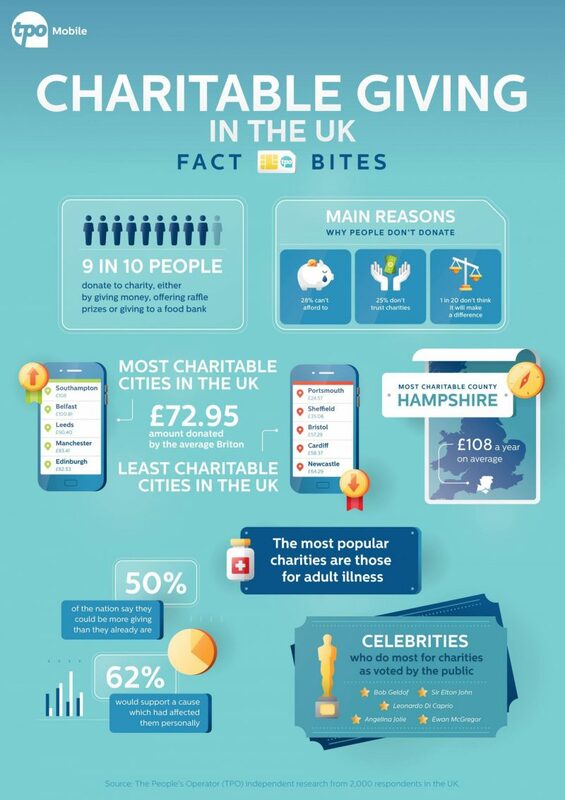 The team behind TPO have recently done some research into just how charitable the UK really are and I’m actually quite shocked… in a good way! The research showed that nine out of ten of the 2,000 people they survived have given to charity at least once in their lifetime, but on average every UK adult will donate £72.95 a year to charity. I was so happy that it was such a high figure! Those slightly further up north like Belfast, Leeds and Manchester were also found to be among the most generous people in the UK. The list of charities that people most donate to are topped by cancer charities, animal charities, hospital charities, children charities and hospice charities. It’s also well worth noting that Millennials are far more likely to give to mental health charities than those in an older age bracket. It’s great to see so many people are supporting causes close to their hearts. Do you support any charities? London Marathon Training Update 1. "Top Tips For Taking Your Drone On A Flight *"